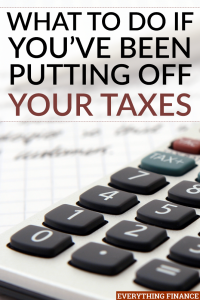 Taxes are one of our many citizenly duties that the majority of Americans likely find themselves groaning about, especially when tax season rolls around. Whenever there’s something in life that you have to do, but don’t necessarily want to, it becomes all too easy to procrastinate and taxes are no exception to the rule. If you need to learn more about taxes then make sure you Visit IPVA 2018 for more information. Of course, like with most necessary things in life, waiting until the last minute usually isn’t a good idea, and usually just causes you more stress. However, maybe you aren’t a procrastinator, maybe your life has been busy and chaotic and the fact that taxes are upon us has merely passed you by. Whatever the reason, last minute or not, you have to do your taxes. If you’re someone who’s been putting off your taxes, take a breath, don’t panic, and follow these tips to help you file your taxes in time, don’t panic if you are foreigner, you can always qualify for foreign earned income exclusion if you follow the right steps. If April 18th is way too close for you to complete your taxes, it might be in your best interest to file for an extension. Of course, you have to file for an extension before the tax deadline, which you can do by filing online or downloading the form from the IRS website. However, although this will give you six extra months to file without paying a penalty fee, you’re still not off the hook in terms of paying your taxes for six months. If you know you’re going to owe, it’s a good idea to use the Profit and Loss form to estimate how much you’re going to owe. Regardless of an extension, you’re still required to pay 90% of your taxes by April 18th. Still, if you have a lot of paperwork to get through an extension can help give you some extra time. If you’re going to owe the IRS money come April 18th and have the amount ready to go, you can just submit it with your taxes. However, if the amount you owe is significant and you’re unable to pay in full, you’ll want to decide on a plan for payment. One option, should you qualify for financial hardship, could be a payment extension that could give you up to a year to pay off your taxes by filling out an IRS Form 1127. Again, you’ll want to make sure you qualify. You could also opt for a delay in collections, temporarily of course, if you’re having financial hardship. If you have no problem paying, but can’t do it all at once, you can also set up a short-term payment plan, which gives you 120 days to complete payment. With this option, however, you’ll pay interest and late penalties. Furthermore, if 120 days doesn’t quite give you enough time, you can set up a payment plan that allows you to pay monthly or in installments. All in all, estimate how much you’re going to owe and figure out the best path for you. You’ll want to get any payment applications in as soon as you can. Depending on your job, life situation and salary your taxes can either be something fairly simple that you can take care of yourself or might be to the point where you need some assistance. If your job is pretty straight-forward and you make a salary of less than $62,000, you can likely handle filing on your own. Moreover, while you can file a hardcopy, if you’re pressed for time, opt to file online. However, if you have multiple investments and accounts or have an unusual job situation, like being self-employed or earning a lot of freelance or contract income, it can be difficult to know where to begin and can leave you with a lot of paperwork. If time isn’t on your side, utilizing a professional can be extremely beneficial and stress-free; they can help you figure out the process and probably get you through all that paperwork quicker than you could yourself. Furthermore, the more time crunched you are, the more likely you are to make a potential mistake, which is where a professional comes in handy. No matter how much time you have left, you still have to file, and the best place to start is by simply gathering up all your paperwork and documents. Set aside some time to go through everything and sort it all out. You’ll need all your W2s and 1099s that report all your income throughout the year. Next, you’ll want to gather up any deductions or expenses you’ve had. This can be everything from medical bills, child care costs, employment expenses, charitable receipts, and mortgage statements. Lastly, be sure to put aside any paperwork relating to your investments. By collecting everything you need and getting it all in one place, filing your taxes can go much smoother and quicker. Unfortunately, the time always comes when you can procrastinate no longer, and the longer you wait to get started and actually file your taxes, the more stressed and panicky you’re going to make yourself. So, if you’ve put off filing your taxes, the best advice I can give you is to just get started, ASAP. And unless your life and job are terribly complicated, doing your taxes isn’t always as complicated as it seems, it just takes time. More than anything, just remember to get everything in on time. If you’re filing by sending your taxes in the mail, it needs to be postmarked April 18th to be considered on time, so make sure you find out the correct place to mail it and get it done. Of course, you can avoid the worry and hassle by simply filing online as well. However you choose to file, just get going and get it completed, and maybe next year, consider filing just a little bit sooner. Do have your taxes completed? If you’ve waited until the last minute, what are some tips you’ve found helpful?